EUR/USD broke 1.1800, what next!? 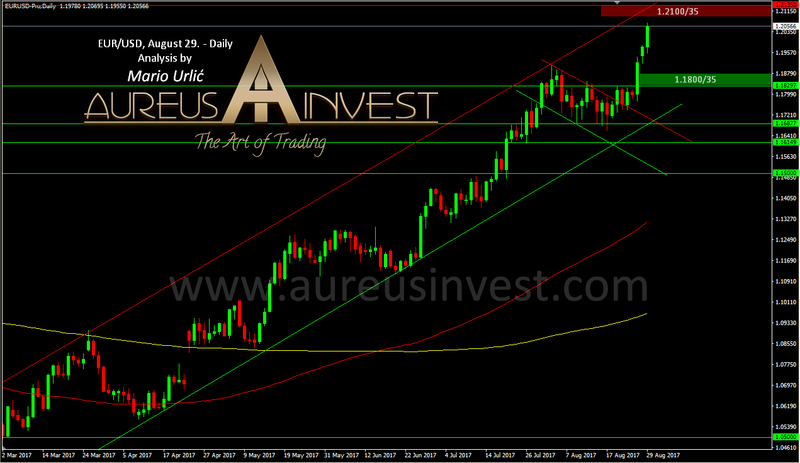 The important support at 1.1800/35 is broken yesterday, which held the pair for a month, as I have predicted in my last EUR/USD analysis from August 29. As I pointed then, I sow a resistance at 1.2100/35 and the pair even did’t manage to reach that level, with high at 1.2092 in September, just a few pips bellow. It’s obvious that the 1.2000 level has become a problem for the ECB, because each time when the EUR/USD aproached there, from the ECB we had a panic talk about the QE reductions and possible delay of the same. Fundamentals are in favor of the euro, but with several warnings from the ECB president Mr.Draghi, the market finaly decided to go lower with the pair. On the other side, Mrs.Yellen stays confident in the US recovery and furder monetary policy tighteninig. Well, there is the end of 3rdQ and this brake could ment nothing particular in the view of 1.1800 as an important support, but technically we already sow that the level has become a resistance last night. Could buyers return the pair back from this level? Sure they can, but here’s how I see the possible development if the pair continue to fall. Possible target for sellers could be 1.1620/50, where the serious buyers will wait for sure. If they took over at that level, the pair could bounce up again, forming the ascending triangle on the way back to 1.2000. On the other side, if the pair fall true the 1.1600, this could be a problem for the buyers and it will give the USD an additional strengt, which could lead the pair toward 1.2000 until the end of the year. So, there is two views from me now, the first one is 1.2500 > 1.2700 and the second is this one, but all depens on this techinal levels and possible furder movements. Despite this fall, I remain bullish on each stronger decline. For now, Mr.Draghi is the finaly the winner, after several fails in his desire to weaken the euro lately. 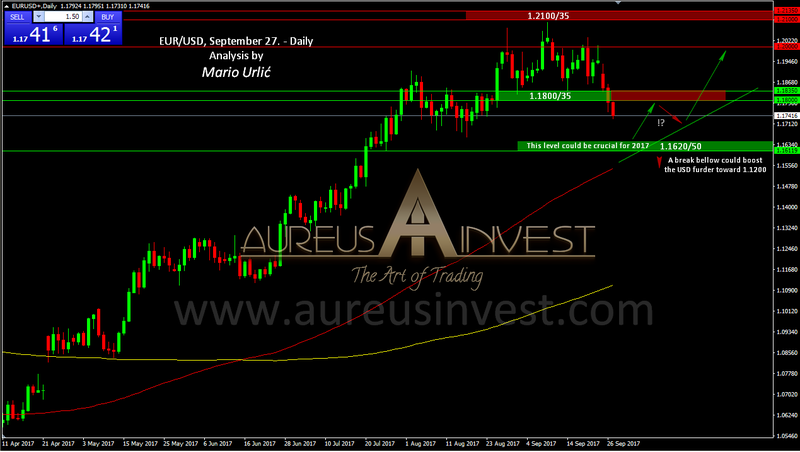 EUR/USD and my view from August 29.